Universal Logistics Courier is one of the leading courier service organizations that deliver almost everything from India to your doorstep. People living away from India need not fret about missing Indian products as Universal Logistics Courier guarantees you that you receive your goods on time every time. Catering to customers worldwide successfully for nearly a decade, we specialize in procuring and shipping your requirements at the shortest time span. Further we ensure the best modes of transportation for your goods, be it sea freight, air freight or road freight. We ship almost everything for you, from important documents and medicines to grocery, condiments, food products and Excess baggage Prasadd International Courier an exclusive courier & cargo service provider for sending all types of Food items, House hold items abroad to all countries like UK, USA, CANADA, DUBAI & REST OF THE WORLD. We also offer special discounts for parents sending food items, books, clothes & other necessary things to their children studying abroad. 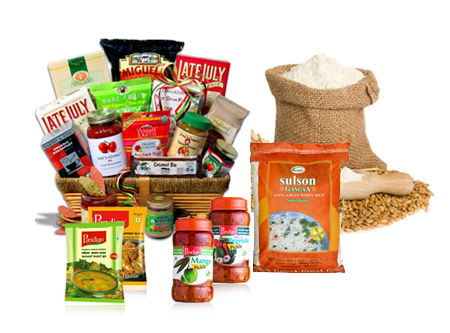 All types of home made food products. © 2016 Universal Logistics All rights reserved.